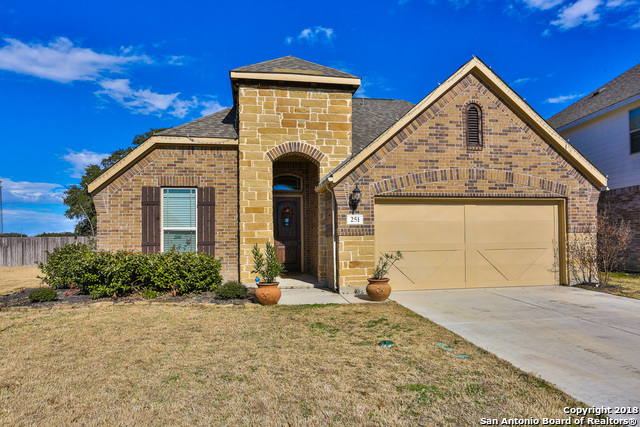 All Champion Heights homes currently listed for sale in Boerne as of 04/18/2019 are shown below. You can change the search criteria at any time by pressing the 'Change Search' button below. "Best backyard in the neighborhood & Price Improvement! This darling home has an open concept & plenty of space for everyone to run around! Come enjoy a huge yard that also backs up to the neighborhood park, which is extremely hard to find in Boerne at this price point! The kitchen is spacious with 42 cabinets, granite countertops, walk in pantry & an island to pull up the bar stools. Master bed/bath is fantastic! 4th bedroom is upstairs with a full bath. Office/workout area is a plus!"